1.1 The Wine Loop is bound by the National Privacy Principles contained in the Privacy Act 1988 (“Act”) and any applicable state or territory legislation that applies in relation to any personal information collected by it. 1.2 “Personal Information” is defined in the Act as “any information or an opinion (including information or an opinion forming part of a database), whether true or not, and whether recorded in a material form or not, about an individual whose identity is apparent, or can reasonably be ascertained, from the information or opinion”. 1.3 Your personal information may include your name, phone numbers, address, email, date of birth and other information you choose to provide or are required to provide for the purposes of dealing with us as a customer, potential customer, supplier, job applicant, stakeholder, contractor or in some other capacity, which may identify you. 1.4 We will collect personal information from you, when you: enter any information on the site, contact us by phone, mail, email or visit our website; make an enquiry about a product or service; purchase a product or service; enter any competition or special offer. 1.5 Your personal information may also be collected by us from publicly available sources or third parties. 1.6 Should you provide us with personal information about another person, you must obtain their consent and advise them of this policy, prior to giving their information. or y. supply you with generalised, targeted or personalised marketing, advertising and promotional notices, offers and communications based on your preferences, and measure and improve our marketing, advertising and promotions based on your ad customisation preferences. 1.8 Your personal information may be used for the purpose of direct marketing to keep you informed about a range of services which may be of interest to you. 1.9 If your phone number is registered on the “Do Not Call Register”, by providing us with your phone number, you consent to receiving phone calls from us and acknowledge and agree that such calls will not constitute unsolicited telemarketing calls under section 11 of the Do Not Call Register Act 2006 (Cth). d. To our accountants and legal advisors, service providers, payment systems operator, financial institution, law enforcement agency or government authorities as reasonably required. 1.12 Protection of your personal information: Personal information collected by us will be stored by us in hardcopy and/or electronic form. We take reasonable measures to keep all personal information secure and protected from interference, misuse or loss and from unauthorised access, modification or disclosure and will be restricted to persons properly authorised. 1.13 If we determine that your personal information is no longer needed, we will take reasonable steps to destroy or permanently de-identify that information. 1.14 Access to your personal information: You may request access to your personal information held by us by writing to us at the address stated below. Where we hold information that you are entitled to access, we will endeavour to provide you with a suitable range of choices as to how you access it, at your expense, as soon as reasonably practicable. 1.15 Access to personal information may be refused in certain circumstances, such as where it would impact the privacy of others, for legal reasons, prejudicial to an enforcement body, reveal commercially sensitive information, pose a risk to the life or safety of an individual or if the request is frivolous or vexatious. 1.18 Further information on privacy legal requirements can be obtained from the Australian Information Commissioner at www.oaic.gov.auor phone 1300 359 779. 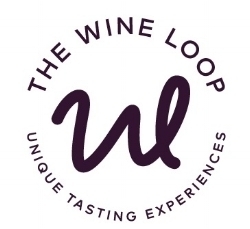 1.19 If you or someone you know wishes to use our website but needs assistance to do so please contact us by phone on Nicole 0437728568 or Karen on 0438 729255 or by emailing us at Karen at karen@thewineloop.com.au or Nicole at nicole@thewineloop.com.au or by writing in to 263 Edward Street, Brunswick East VIC 3057. We will do our best to make your use of the site easier.